Édouard-Gaston Deville, surveyor (b at La Charité sur Noire, Nièvre, France 21 Feb 1849; d at Ottawa 21 Sept 1924). Educated at the naval school at Brest, Deville served in the French Navy and was in charge of its hydrographic surveys throughout the world. Édouard-Raymond Fabre, bookseller, politician, mayor of Montréal 1849–51, Patriote (born 15 September 1799 in Montréal, Lower Canada; died 16 July 1854 in Montréal, Canada East). Known as the “first real bookseller in Lower Canada,” Fabre’s bookstore not only provided patrons with books and supplies, but it was also a meeting place for the Patriotes. 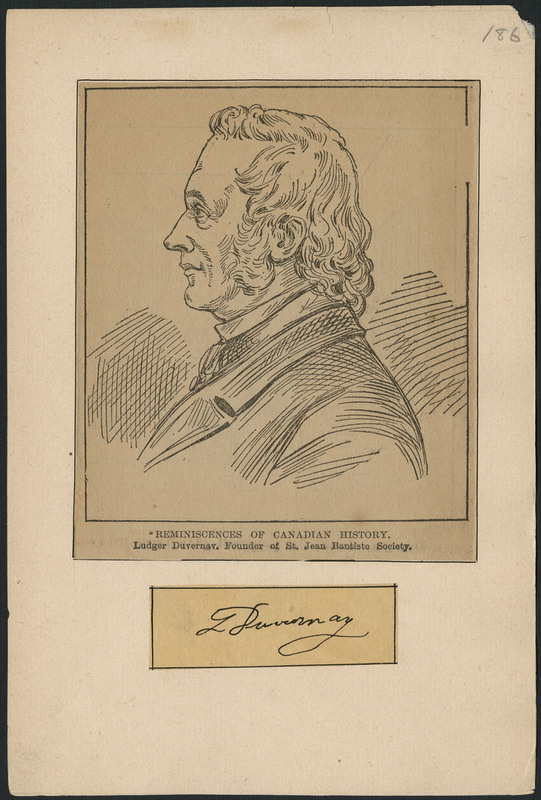 A devoted Patriote himself, he played a major role in the creation of the Maison canadienne de commerce and la Banque du peuple as well as the survival of La Minerve and the Vindicator and Canadian Advertiser. Following the 1837–38 Rebellions, Fabre helped guarantee the return of political exiles to Lower Canada, including Louis-Joseph Papineau, and was the mayor of Montréal from 1849 to 1851. Édouard-Zotique Massicotte (pseudonyms: Blondel, Cabrette, Mistigri). Folklorist, historian, archivist, poet, dramatist, botanist, b Montreal 24 Dec 1867, d there 8 Nov 1947; LL B (Laval) 1895, honorary D LITT (Montreal) 1936. Élisabeth (Anne) Gallat-Morin (b Gallat). Musicologist, harpsichordist, b Paris 9 Feb 1932, naturalized Canadian 1979; B MUS (Montreal) 1970, MA musicology (Montreal) 1977, PH D musicology (Montreal) 1986. ​Élisabeth Vonarburg, writer (born 5 August 1947 in Paris, France). ​Élise Guilbault, actress (born 7 April 1961 in Saint-Lin-des-Laurentides, Québec). ​Élise Turcotte, poet and novelist (born 26 June 1957 in Sorel, Québec). Éloi de Grandmont, pseudonym of Joseph-Éloi-Augustin Grammont, writer, director (b at Baie-du-Fèbre, Qué 17 Apr 1921; d at Montréal 25 Nov 1970). Lavigne, (Tessier dit Lavigne), (Horace) Émery. Pianist, organist, teacher, b Montreal 27 Jan 1859, d there 2 Jul 1902. The brother of Arthur and Ernest Lavigne, he studied with Romain-Octave Pelletier. Émile Adrien Belcourt, tenor (born 27 June 1926 in Laflèche, SK; died 3 August 2017 in Toronto, ON). B SC (Saskatchewan) 1949. Émile (Joseph) Benoit. Fiddler, composer, storyteller, b Black Duck Rock, Port au Port peninsula, Nfld, 24 Mar 1913, d Stephenville, Nfld, 3 Sep 1992; honorary LLD (Memorial 1988). He began playing the violin at 12 and first performed publicly at 16. Émile Genest. Actor and radio host. (Quebec City, 27 July 1921 - Hallandale, Florida, U.S., 17 March 2003) This actor enjoyed a long career in television and film, in Quebec and Hollywood, in both English and French. Émile Gour. Tenor, choirmaster, b L'Assomption, near Montreal, 21 Apr 1893, d Montreal 24 Sep 1970. He studied piano and harmony with Alphonse Lavallée-Smith and voice with Salvator Issaurel 1915-22. While pursuing a career as a singer he remained in the employ of the Canadian postal service. Émile Larochelle. Tenor, teacher, pianist, organist, b Quebec City 13 Aug 1891, d there 9 Oct 1958. At 10 he sang in various churches and studied piano with Olivier Hudson. Émile Legault, director, dramatist, critic (b at Saint-Laurent, Qué 29 Mar 1906; d at Montréal 28 Aug 1983). Ordained a Catholic priest in 1930, he became a teacher and founded, in 1937, a troupe of young actors at Montréal's Collège de Saint-Laurent. 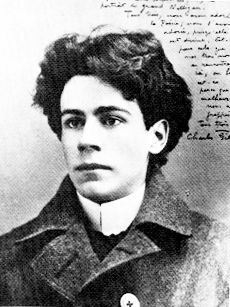 His first poem, "Rêve fantasque," had been published in Le Samedi on 13 June 1896, under the pseudonym of Émile Kovar. Other poems appeared in Le Monde illustré, Alliance nationale and Le Petit Messager du Très-Saint-Sacrement. Normand, Émile or 'Cisco' (Roland). Drummer, vibraphonist, composer, painter, b Windsor, Ont, 21 Nov 1936. He studied piano, trumpet, and vibraphone in Windsor and Detroit and played in a dance band led by his mother in the late 1940s and early 1950s. Émile Ollivier, author (b at Port-au-Prince Haïti 1940; d at Montréal 10 Nov 2002). He studied at the Lycée in Port-au-Prince, then at the École normale supérieure, where he was working on a degree in philosophy (1962). Taranto, Émile. Violinist, teacher, b Montreal, of Italian parents, 1878, d there 27 Aug 1936. At six he began studying violin with Frantz Jehin-Prume, and by 1894 he was a member of Couture's MSO. He also gave many recitals at that time. Émiliano Renaud. Pianist, composer, organist, teacher, b St-Jean-de-Matha, near Joliette, Que, 26 Jun 1875, d Montreal 3 Oct 1932. He studied piano with his mother, later with Paul Letondal, and still later with Dominique Ducharme.